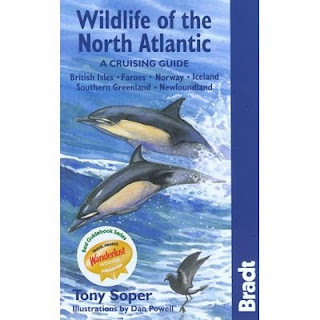 The full title of this guide book in the Bradt Wildlife series is Wildlife of the North Atlantic - A Cruising Guide. It covers the British Isles, Faroes, Norway, Iceland, Southern Greenland and Newfoundland. Written by Tony Soper it is, unusally for a Bradt guide, illustrated by artwork (by Dan Powell) rather than photographs. The book covers the Invertebrates, Fish, Turtles, Birds, Seals and Whales that might be seen on cruises in the region. It is a fascinating book that is both practical, informative and beautiful. ISBN-13 978 1 84162 258 3.